Do I need an attorney to get a Name Change Orange County? 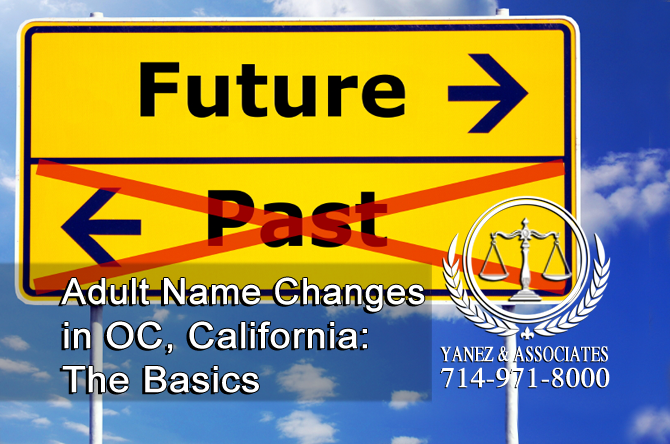 Name Change FAQ: Do I need an attorney to get a Name Change in Orange County California? Do I Need an Attorney to Get a Name Change in California? Changing your name can be an important part of a major life change, including creating a sense of family or a sense of individuality. Names are changed in many situations, like these. • When a couple gets married or registers a domestic partnership, either party can take the name of the other, or, the two parties can combine their names or create a new name to share. • Similarly, divorcing couples may want to change their names so that they can feel separate from a former spouse or partner and gain a feeling of individuality. • An adopted child’s name might be changed (usually just the surname) so that it matches the adoptive parents’ name’s. • Some immigrants to the United States may change their last name upon arrival to have a more American sounding name. • Transgender people may choose to change first and/or last names so that they are more comfortable with their name. • People may also choose to change their name for religious reasons, to make a political statement, or simply because they didn’t like their name to begin with. During any legal process, it is always recommended that a person speak with an attorney. Whether an attorney is necessary and the amount of time and legal advice that a person needs from a lawyer can vary, especially depending on the specific legal situation. A name change may require varying amounts of legal advice depending on whose name is changing, why it is changing, and the surrounding legal issues. What are the basics I should know when trying to change an Adult's Name in OC California? For an adult to change his or her name, he or she will need to go to court. Any time that a person needs to attend a court hearing or file paperwork with the court, he or she should at least contact a family law lawyer about a consultation. Here are a few basic facts that you should know about changing your name in California. First, there is usually a fee required when you file to legally change your name. However, if you qualify by having a very low income, you may apply for a fee waiver. In addition, some name change requests require you to publish your Order to Show Cause for Change of Name in a local newspaper. This may also cost you a small fee. • Second, a person who is in the State Witness Program or the address confidentiality program and is changing his or her name as a way to provide protection from violence, abuse, stalking, or because of sexual assault, publication is not necessary. A judge may choose not to allow a name change if it is determined that a person is changing his or her name to commit fraud, hide from the law, or if the person has another illegal reason to do so. People who are on parole or on probation may not be allowed to change their names. If you or your spouse wants to get a name change when you get married, you may not have to appear in court. You will need to contact both the DMV and social security office and request that they change your name on your driver’s license and your social security card. Usually, you can do this by showing both offices your marriage certificate, but they may require a court order to complete the change. If you are changing your name back to your maiden name during your divorce, the process of changing your name is usually not difficult. If the divorce was granted in California, file a form called an Ex Parte Application for Restoration of Former Name After Entry of Judgment and Order with the court clerk in the county where the divorce was granted. Within two to four weeks, your name change should be granted. If the divorce is still in process in California, you can ask for a name change to be granted in your final judgment. Your attorney can help you put the request in your divorce agreement before it is submitted. Those who divorced outside of California can either contact the court that granted the divorce, or follow the steps under filing a Petition for Change of Name. This is the most common name change process in California, and it can take up to three months. It requires a person to appear in court. If you are using this method to change your name, you should contact a family lawyer because the process is not as straightforward as changing your name in a marriage or a divorce. Victims of domestic violence or abuse, including sexual assault or stalking can protect their identities through California’s Safe at Home Program. The program allows participants to have use a free P.O. Box instead of their home address for things like completing confidential name changes. It also allows participants to get a name change without publishing anything in the newspaper. If you wish to change your name when you file for a gender change, you will need to file several forms with the court. However, you don’t need a court order to have a new birth certificate with your new gender as long as you were born in California. What are the basics I should know for changing a teenager's Name in Orange County California? Changing a minor’s name requires the parents or guardian to file on behalf of the child. If there is already an ongoing family law case involving parentage, child support, child custody, adoption, or another kind of case, a parent or guardian can ask that the child’s name be changed as a part of that final judgment. If both parents want to change the child’s name, they may file a request together with the court. Like with an adult, the process can take up to three months. The parents can file a form called a Petition for Change of Name with the court on behalf of the child. Then, they will get a court date for one to three months from the date of filing, and the judge will make a decision. Because this process requires an appearance in court and several court forms, it is better to hire an attorney who can help you through the process. When only one parent wishes to change the child’s name, the court process is similar to when both parents want to change the child’s name. The difference here is that the other parent has the right to be notified of any court hearing, and he or she can appear and fight the name change. In this case, it is a good idea for both parents to have attorneys. Even if the other parent opts not to be involved in the case at all, the parent who is filing paperwork should do so with the help of an attorney. A legal guardian can also use this same process to change a child’s name, but instead of notifying the other parent, both parents will need to be notified and will have the right to argue the name change. A parent or guardian who wants to correct an error on a child’s birth certificate, but not change the child’s name can do so by amending the birth certificate legally by filing an amendment form. A lawyer can help with this process as well to ensure that it is done correctly. Orange County Name Change Attorneys helping clients move on with their lives. If you have questions about changing your name or your child’s name, a lawyer can help. 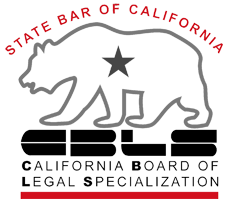 There are several processes for changing a legal name in California depending on your situation. 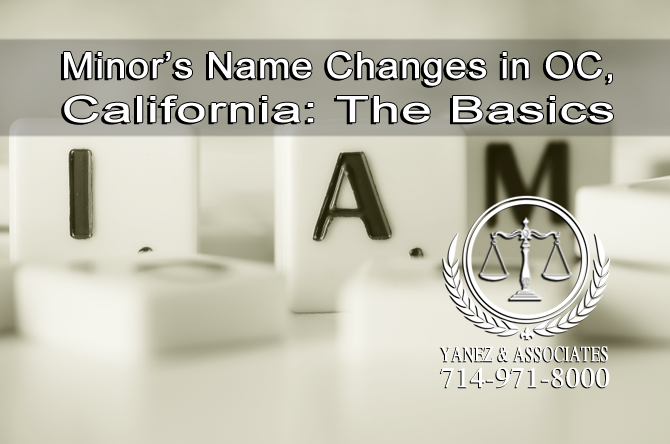 The lawyers at Yanez & Associates have experience helping Californians change their names for all kinds of reasons, and we’re here to help you too. We offer free initial consultations, so if you have questions, you have an opportunity to speak with us without any strings. Schedule yours today! 1 Do I Need an Attorney to Get a Name Change in California? How can I Legally Changing my Name in OC California?